I still own a fine pair of boots that my parents bought me almost 15 years ago. As a result, I’m a strong believer in paying a little extra to own a pair that will last a lifetime, rather than replacing them frequently. 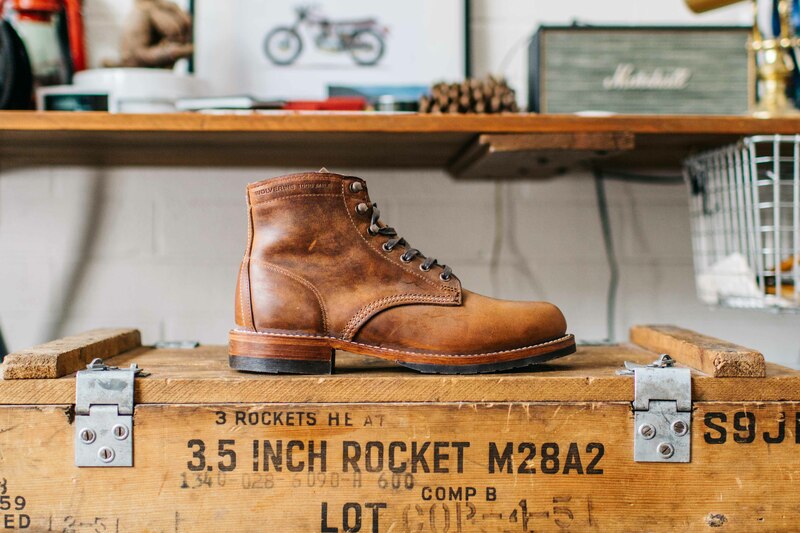 I’m not suggesting that you get a bespoke boots/shoes made that will cost you an arm and a leg (unless you have a spare arm and a leg, by all means do get one), but there are many alternative consumer brands that are available. 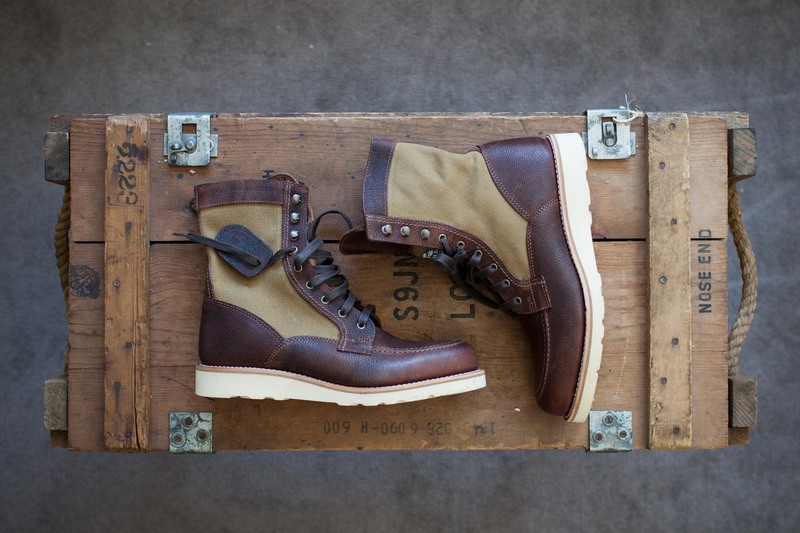 Wolverine is one of those brands, and their 1000 Mile Collection boots have been my favorite for some time. 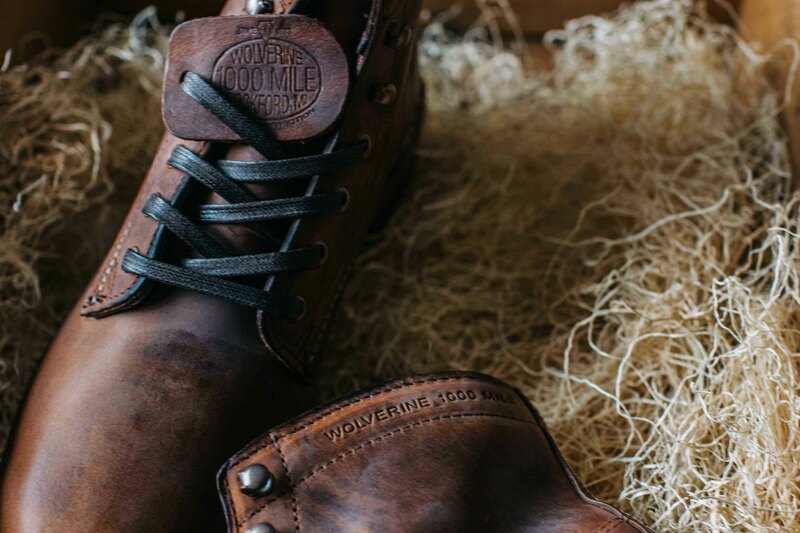 If you think Red Wing Shoes’ 1905 heritage is impressive, then Wolverine’s 1883 heritage is to die for. 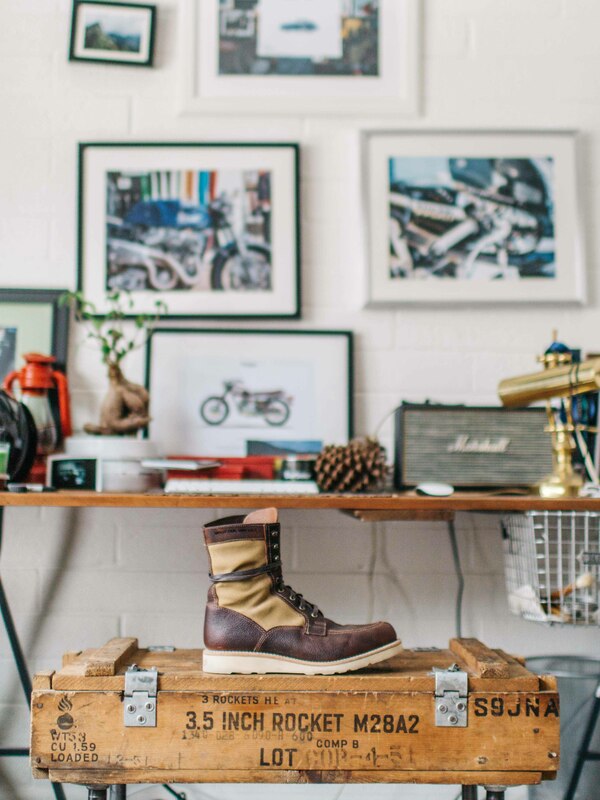 The company was built for the working class to weather their rugged working environment. 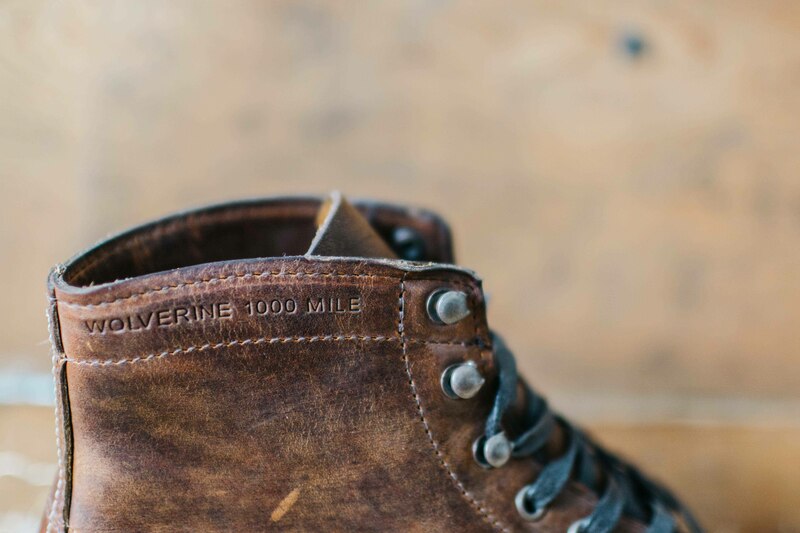 For our modern days, The Wolverine 1000 Mile Collection was introduced to bring back the classic looks and the craftsmanship that existed more than one hundred years ago. 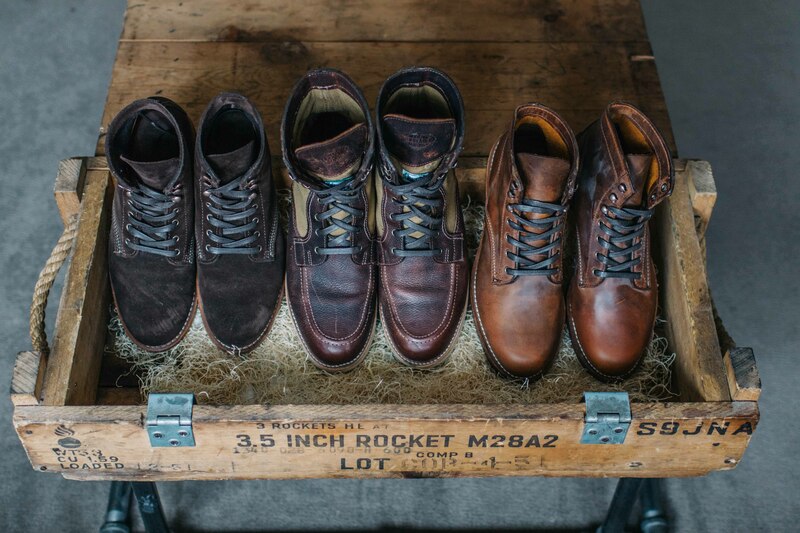 The 1000 Mile Collection is made with the finest Horween leathers, a stacked leather outsold and classic welt construction to replicate the original aesthetics. Need I say more? 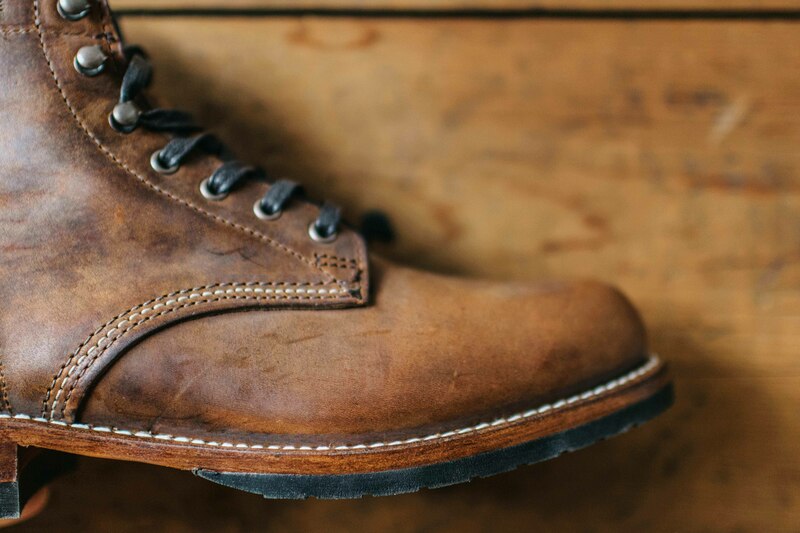 Like all fine leather goods or apparel, it takes time for them to be broken in, and the Wolverine boots are no exception. However, I feel like my Wolverine boots have been much more comfortable straight out of the box than my Red Wings have been (but in the long run, they’re both amazingly comfortable). 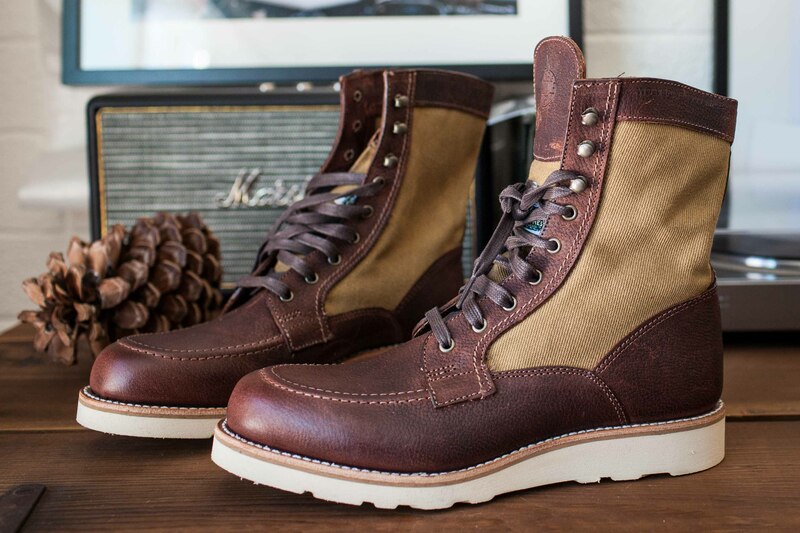 One of the best qualities of these 1000 Miles boots are its style. Style is unassuming, yet classy; modern yet timeless. This is one of those things that look good with variety of outfit style. 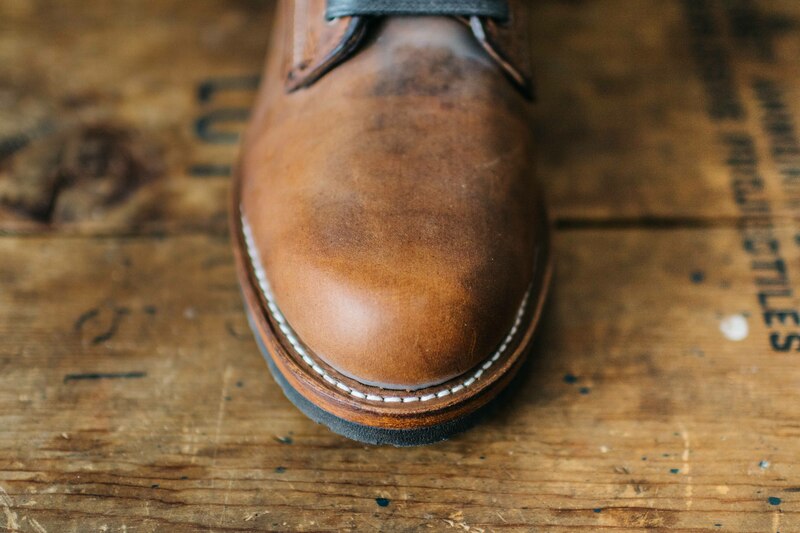 Just wait till you get some patina on that fine leather. Well, this is a motorcycle blog, and my primary reason for having these boots is for riding. 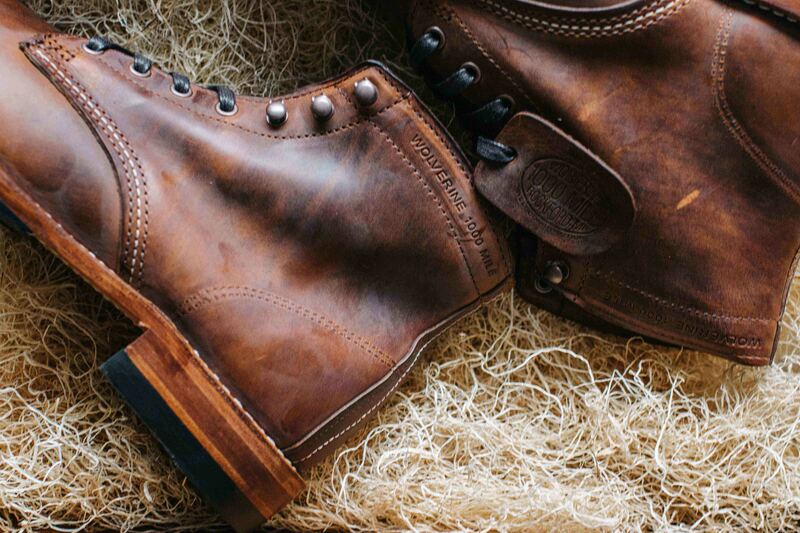 Getting your $400 pair of boots all scratched and greased up is up to your preference and willingness. For me, it’s totally worth it. The boots are very comfortable for riding. I’ve used my Rowan 1000 Mile boots for as an everyday riding boots and they’ve held up very well, and have been very comfortable. My new Evans boots is my new riding boots, and although I haven’t had a chance to ride much with it yet (damn winter), but so far it’s been more than perfect. Let’s face it. These are not made for motorcycle riding, so it’s obviously not as durable as the bike-dedicated boots. If you didn’t use these boots for motorcycle riding, I’m sure they’ll last a lifetime and then some, but riding with it will have some consequences (i.e. yes, it will wear down). 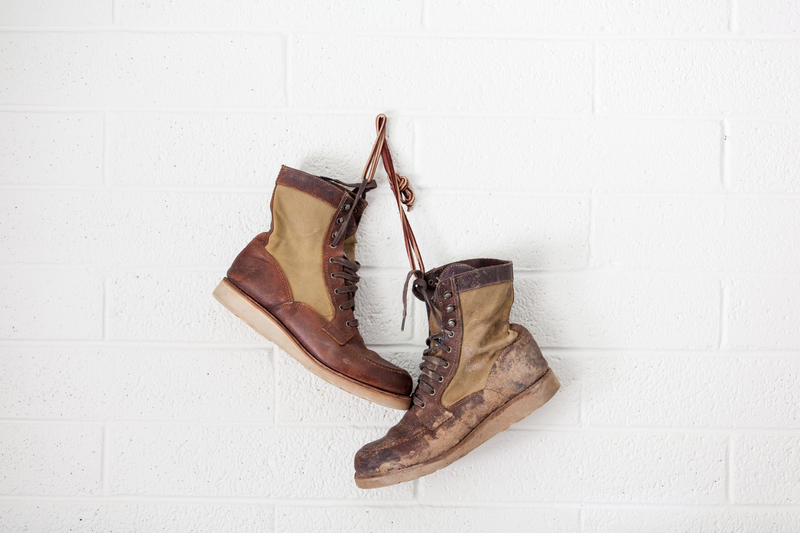 Many of the 1000 Mile Collection boots have leather undersole, just like my suede 1000 Mile as seen below right, and I definitely don’t recommend getting any shoes with leather undersole for your motorcycle. 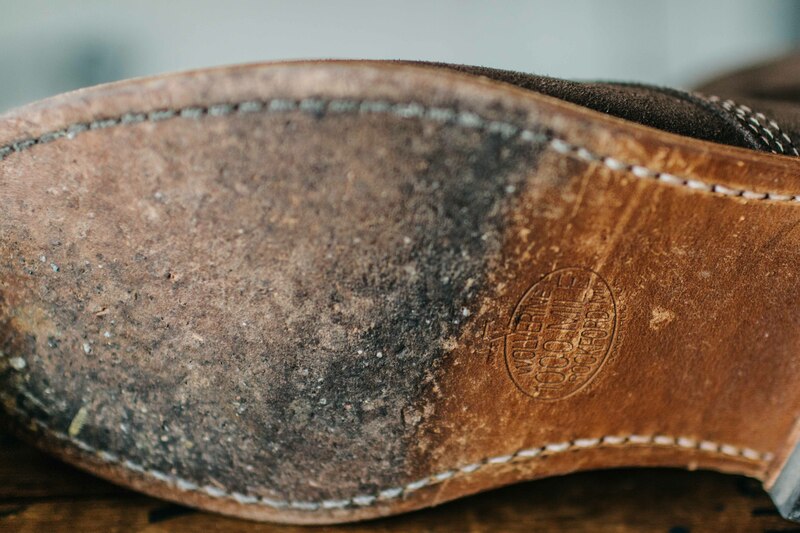 However, there are many other models that have rubber undersole that is perfect for riding (such as my Evans on below left), and if you wear them out, you can always re-sole them. If you really prefer the models that have the leather undersole, you should take it to a cobbler and get it rubber soled. 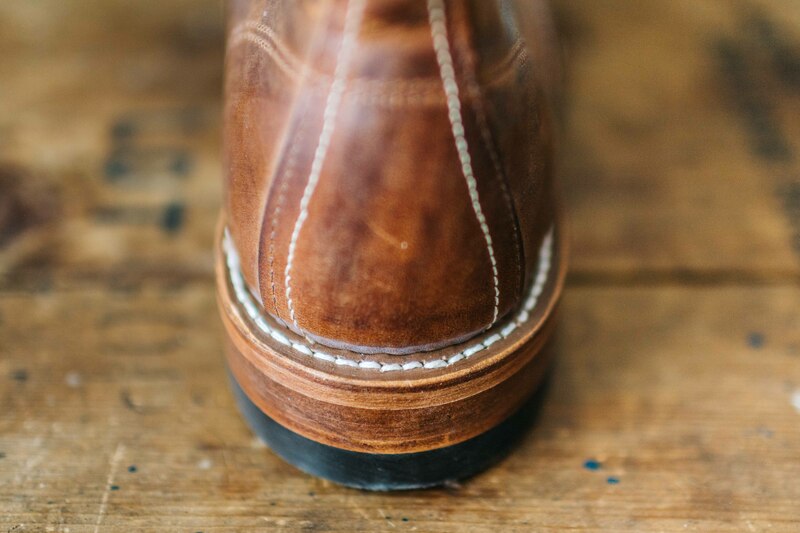 This way, you will be able to just replace the sole, without permanently damaging the leader sole. This is probably the biggest downside, i.e. it’s damn expensive. Average price of the 1000 Mile Collection is somewhere around $350 to $400. This is a big investment, but keep in mind that this is a pair that you’ll own for the next decade or so. 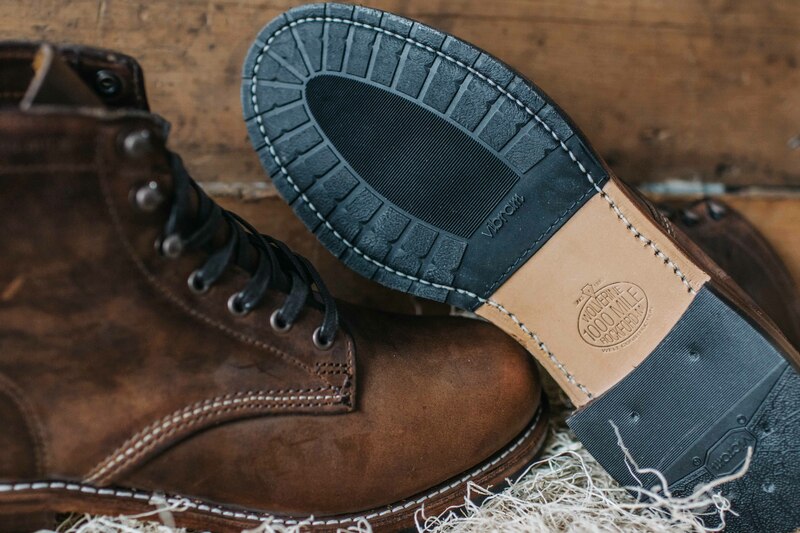 an option Thorogood wedge sole work boots made in USA, both 6″ and 8″ height, I’ve purchased two pairs they sell for about $165.00, quality footwear. They work well riding my Triumph Scrambler on and off road.